WASHINGTON, DC – July 9, 2013 – (RealEstateRama) — Millennials are more confident than any other age group that their recent home purchase was a good financial investment, according to a new study released today. The inaugural 2013 National Association of Realtors® Home Buyer and Seller Generational Trends evaluated the generational differences of recent home buyers and sellers and found that while eight out of 10 recent buyers considered their home purchase a good financial investment, the number was even higher, 85 percent, for younger buyers under the age of 32. The study found that the largest group of recent buyers was Generation X Americans, those born between 1965 and 1979, who comprised 31 percent of recent purchases, followed closely by Millennials, sometimes called Generation Y, those born between 1980 and 2000, at 28 percent. Percentages of recent home purchases among prior generations was significantly lower, 18 percent were Younger Boomers, those born between 1955 and 1964; 14 percent were Older Boomers, Americans born between 1946 and 1954; and 10 percent were from the Silent Generation, those born between 1925 and 1945. The median age of Millennial home buyers was 28, their median income was $66,200 and they typically bought a 1,700-square foot home costing $165,000. The typical Gen X buyer was 39 years old, had a median income of $93,100, and purchased a 2,100-square foot home costing $235,000. The previous living arrangement of recent buyers varied greatly across the generations; among Millennials, 65 percent rented an apartment or house and 22 percent lived with their parents, relatives or friends; more than half of all Baby Boomer and Silent Generation buyers owned their previous residence. The study found that older generations of home buyers prefer more recently built homes. Millennials typically bought homes built around 1986, nearly a decade older than the homes typically bought by the Silent Generation. Younger buyers had a tendency to stay closer to their previous residence, often staying within 10 miles, whereas older buyers moved longer distances, typically more than 20 miles from their previous home. Younger buyers were more likely to buy in an urban or central city area than older buyers; 21 percent of Millennials bought a home in an urban location compared to only 13 percent of Older Boomer and Silent Generation buyers. The reason for buying a home also varies across the generations; younger buyers most often cited the desire to own a home of their own whereas older buyers wanted to be closer to family and friends. When it comes to factors influencing neighborhood choice, younger generations cited convenience to jobs, affordability of homes, and quality of the school district. Older generations placed higher importance on convenience to family and friends and healthcare facilities. When it comes to a home’s green features, younger buyers placed higher importance on commuting costs than older generations who placed higher importance on a home’s energy efficient features and living in an environmentally friendly community. Millennials tended to make more compromises with their home purchase than any other generation. Millennials most often conceded on the price and size of the home, lot size, distance from job and style of home; whereas nearly half of Older Boomer and Silent Generation buyers made no compromises on their recent home purchase. As the age of recent buyers increases so does the rate of owning more than one home; among Millennials, 8 percent own more than one home, which could include either a vacation home or investment property; compared to 21 percent of Gen X-ers, 28 percent of Younger Boomers, and 27 percent of Older Boomers, and 26 percent of the Silent Generation. Home buyers of all ages often begin the home buying process by looking online for properties for sales; however, the frequency of use of the internet to search for homes decreases as age increases. Ninety percent of Millennials frequently used the internet to search for homes compared to less than half of Silent Generation buyers. Younger generations of buyers were also more likely to find the home they purchased through the internet; older buyers most often learned about the home they purchased from their real estate agent. 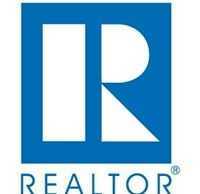 Buyers of all ages gain many benefits from working with a real estate professional. Among the age groups, younger buyers are more likely to want an agent’s help understanding the home buying process, presumably because many are buying a home for the first time. Younger buyers were most often referred to their agent by a friend, neighbor or relative whereas older buyers were increasingly likely to work with the same agent they previously used to buy or sell a home. When it comes to choosing an agent, reputation was important to buyers of all ages; however, younger buyers more often cited an agent’s honesty and trustworthiness as the most important factor compared to older buyers who most often cited the agent’s knowledge of the neighborhood – perhaps because older buyers tend to move further distances and may have less familiarity with area. The median down payment for Millennials was 5 percent, considerably less than older generations of buyers whose down payment ranged from 8 percent for Gen X buyers to 22 percent for Silent Generation buyers. Younger buyers who financed their home purchase most often relied on savings for their down payment whereas older buyers were more likely use proceeds from the sale of a primary residence. The largest group of recent home sellers was from Generation X, comprising 30 percent of recent sales, followed by Younger Boomers (21 percent), Older Boomers (21 percent) and the Silent Generation (19 percent). As the age of sellers increased, the share of married and unmarried couples declined and the percentage of single female home buyers increased, from 4 percent among Millennials to more than 17 percent among Boomer and Silent Generation sellers, perhaps due to death or divorce. Like buyers, older sellers tend to move greater distances, and are more likely than younger generations to move out of the state or region. While younger buyers typically moved to larger, higher priced homes, the data shows a clear trend of downsizing to smaller, less expensive homes among the Older Boomer and Silent Generations. Typically the older the seller the longer the tenure in the home, while Millennials had been in their previous home for a median of five years, Gen X-ers stayed 8 years, Younger Boomers owned their home for 11 years, Older Boomers stayed for 13 years, and the Silent Generation kept their previous home for 15 years. The reasons for selling a home also varied among the generations. Younger buyers were more likely to move to accommodate job relocation or desired to upgrade to a larger home. In comparison, older buyers were often looking for a smaller home due to retirement and because upkeep was too difficult due to health or financial limitations, or to be closer to family or friends. When it comes to negotiating, older sellers are often more willing to reduce their home’s asking price but are less likely to offer buyer incentives such as home warranty policies or assistance with closing costs. Of sellers working with real estate agents, the study found that older generations of buyers are more likely to use full-service brokerages in which agents provide a broad range of services. While more than two-thirds of Millennials used full-service brokerages, they were more likely than other generations to choose limited service, which includes discount brokerage, or minimal service, such as simply listing the home on a multiple listing service, presumably because they have less equity in their home. Sellers of all ages typically found a real estate agent through a referral or friend; however, younger sellers were more likely to use the same real estate broker or agent for their home purchase, 59 percent of Millennials used the same agent compared to 42 percent of Older Boomer sellers. Younger sellers typically want their selling agents help with selling the home within a specific timeframe and pricing the home competitively, whereas older buyers are looking for their agent’s help with marketing the home and finding a buyer. For additional NAR commentary on the home buying habits of Millennials, watch this video. NAR mailed an eight-page questionnaire in July 2012 to a national sample of 93,502 home buyers and sellers who purchased their homes between July 2011 and June 2012, according to county records and using the Tailored Survey Design Method. It generated 8,501 usable responses; the adjusted response rate was 9.1 percent. All information is characteristic of the 12-month period ending in June 2012 with the exception of income data, which are for 2011. Because of rounding and omissions for space, percentage distributions for some findings may not add up to 100 percent.